If you’ve been a visitor of the NCLEX-RN Blog at Magoosh before, you will notice that the RN Bloggers around here like to point out the National Council of State Boards of Nursing (NCSBN) test plan for the NCLEX-RN. This handy little document explains many aspects of the content that will be covered on the NCLEX-RN and can be an invaluable resource for preparing for the test. A new version of the test plan was just released in April 2016. Why is the 2016 Test Plan different from before? The NCLEX-RN is designed to test the competency of newly graduated nursing students to guarantee that they can perform the job of an entry level nurse safely. Every three years the NCSBN performs a study to determine what skills and knowledge are needed in these entry level nursing positions. The results of this job analysis then help the test-makers decide what types of questions need to be asked and what content is necessary to make sure new nurses are ready to safely practice. As the job analysis changes, the test plan changes. Additionally, the test plan will also reflect if any changes to the scoring system have been made. HINT: Nothing about the passing score changed this year. What are the changes to the NCLEX-RN in 2016? Well, the answer is, there aren’t many. In fact the changes to the NCLEX-RN in 2016 are very minimal. No changes were made to the content breakdown (what percentage of content areas make up the exam) and no changes were made to overall content covered. There is one very small exception and that has to do with the content in the subcategory, Management of Care, which is part of the main content area, Safe and Effective Care Environment. The 2016 Test Plan reflects the addition of new details in this content area, mainly related to Advanced Directives and Life Planning. What does this mean for the test candidate? If you’ve been preparing for the exam using the 2013 Test Plan, you will want to focus in on these small changes to Management of Care content before you take your exam. If you have just now started studying, you will want to make sure you have the new test plan by your side to guide you through what to expect. You will want to review the 2016 Test Plan and learn what topics and content areas are on the exam. 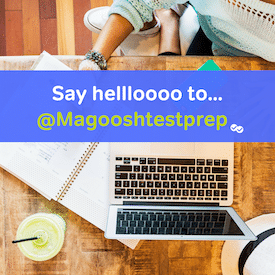 If you haven’t already, seek out some resources to help you with test preparation and investigate strategies for success to get you on the way to a passing score. Rest assured, the NCSBN wants this exam to be fair and successful. That is why every three years, they take a good look at what new nurses are expected to do on-the-job. This allows them to make adjustments to the exam so that the needed skills and knowledge are accurately tested. Happy Studying!